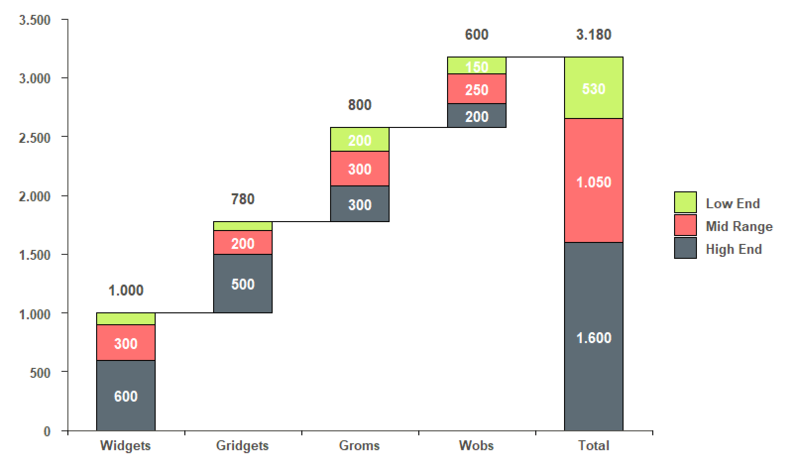 The trick to plot waterfall charts with ggplot2 is to create a data set with the groups (x values - I’m calling this in my code as x.axis.Var) in the exact order you want to plot. After that, you need to get the start and end points of the bars for each category (categories in your legend - cat.Var) within the groups. 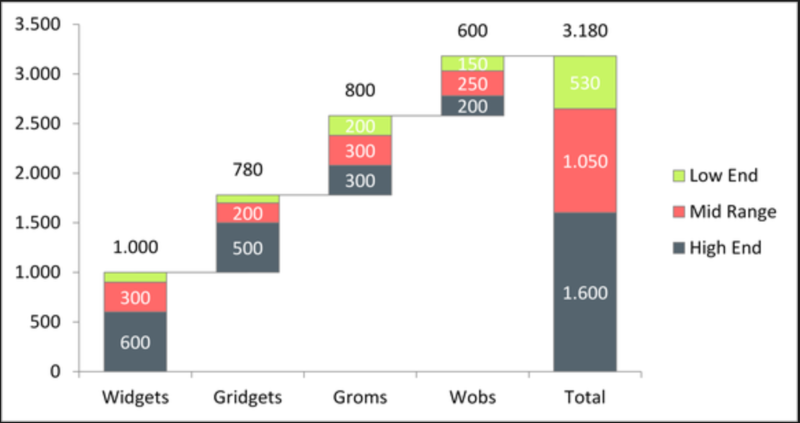 Then, you create another group with the totals by category. You’ll also need a numeric index for the groups to manipulate the bars. Finally, get a column with the total by group for the numbers above the bars.